The Zeliangrong civil organisations, comprising Zeliangrong Baudi, Zeliangrong Youth Front and Zeliangrong Students’ Union, on Thursday said the Zeliangrong people will not attend the consultative meeting of NSCN (I-M) general secretary Th. Muivah. Muivah arrived here from Delhi to conduct a public consultative meeting at NSCN (I-M) headquarters – Camp Hebron – within a few days. In a press release, the Zeliangrong organisations reiterated their decision adopted earlier that the Zeliangrong people will not attend any consultative meeting or meet any members of the NSCN (IM). It said whoever attends the consultative meeting of NSCN (IM) or meet any members of the NSCN (IM) faction shall be considered as purely his or her own interest that does not carry the mandate neither represent the interest nor authorised to act on behalf of the Zeliangrong people, who are living in the States of Assam, Manipur and Nagaland. The Zeliangrong civil organisations had adopted resolutions during Zeliangrong people’s consultative meeting held in different places in Assam, Manipur and Nagaland in 2018 following the NSCN (IM)’s “interference” and “arbitrary decision” taken on the internal matter of Zeliangrong family by recognising the Zeliangrong people as separate and distinct tribe without any basis of history. They said the NSCN (IM)’s claim of negotiation with the Government of India based on uniqueness of Naga history is a “complete farce”. The organisations alleged the NSCN (IM) “out of jealousy” had issued baseless orders just to divide the Zeliangrong people who are the founders of the “Naga political movement” under the leadership of Jadonang, who was hanged by the British colonial rulers to suppress the ‘Naga raj movement’. Stating that the Zeliangrong people had sacrificed more than enough, suffered and rendered maximum service without any reservation for the cause of the Naga political movement since the time of Jadonang, who was the founder of the ‘Nag raj movement’, the release said the entire Naga people and various political groups other than NSCN (IM) faction knowing well of the contribution of the Zeliangrong people never interfered nor issued arbitrary order nor gave direction against the interest of the Zeliangrong people. 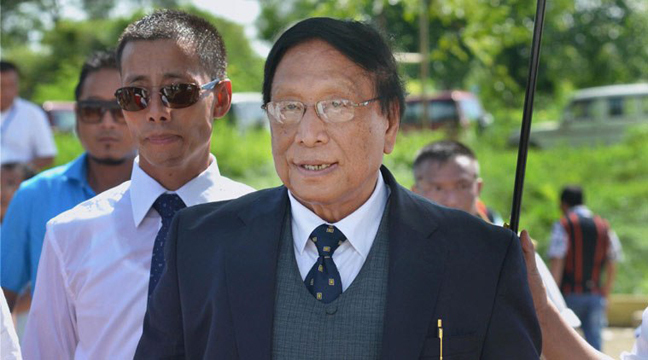 The release cautioned every Zeliangrong to refrain from attending the consultative meeting of NSCN (IM) group and said the Zeliangrong people cannot be victims in the name of the Naga political issue anymore.